Dr. Lewis specializes in facial plastic surgery at his suburban Richmond, Virginia, practice, both to correct signs of aging and to reshape features for better facial proportions. Younger women and men often see Dr. Lewis for ear pinning when they feel self-conscious about these features. Adults approaching middle age often choose injectable treatments to look younger without surgery. 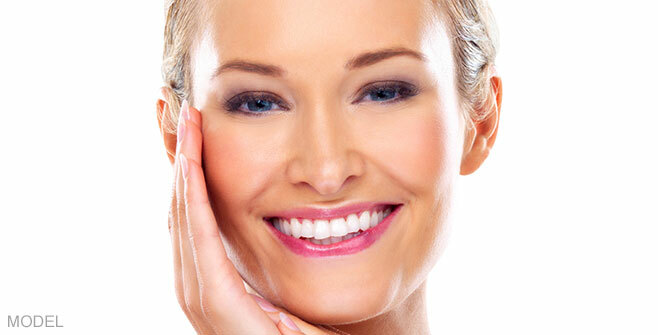 And people middle-aged and older trust Dr. Gordon for surgical procedures to correct sagging skin and deep wrinkles. Old or young, the desire to feel confident in your appearance is universal. Dr. Gordon Lewis will work with you to customize your facial rejuvenation procedure to suit the character of your face and meet your cosmetic goals. He uses the VECTRA® 3-D imaging system so that the two of you can preview the potential results of your procedure and to help ensure that your expectations are met. Dr. Lewis is a trusted plastic surgeon who serves the facial rejuvenation needs of women and men from Chesterfield to Charlottesville, VA and beyond at his Midlothian practice. Request a consultation to meet with Dr. Lewis using the simple online form, or call our office at (804) 267-6009 to schedule a consultation.